Watercolored hand lettering for a feel good car series. "It's a good day to have a good day" "This is my happy place" "Oh honey you are simply the sweetest"
This self-initiated little series is made to cheer you up on a rough day or maybe just make you realize how good things are going. It's always a good day for that. 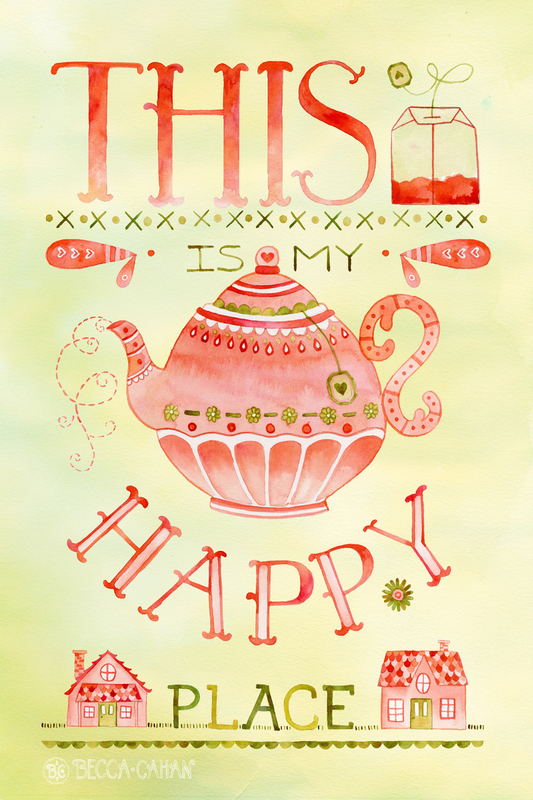 Happy Place canvas print available here. Sweetest canvas print available here. "Oh honey, you are simply the sweetest"